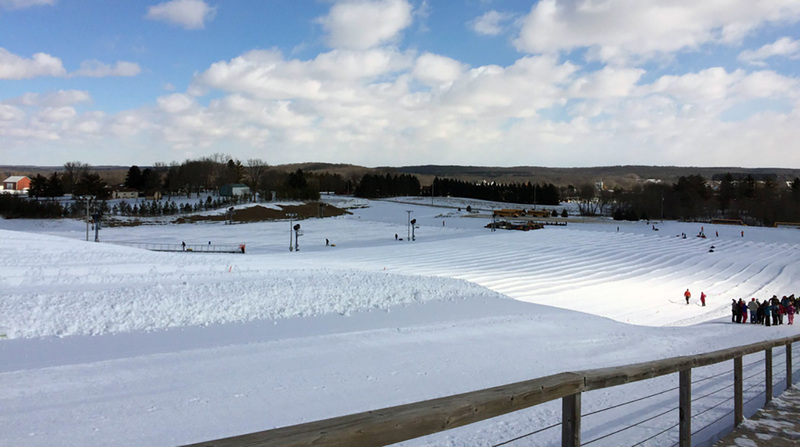 The Fantastic Friday trip on Thursday, Feb. 14 will take students tubing at Sunburst. Two Fantastic Fridays will be offered in February, featuring a tubing trip Thursday, Feb. 14 to Sunburst Winter Sports Park and roller-skating and a movie Friday, Feb. 15 in Fond du Lac. Tubing at Sunburst will be from 1 to 3 p.m., so participants should be dropped off by 11 a.m. Feb. 14 at Horizon Elementary School, 411 S. Highland Ave. and are expected to return there by 4:30 p.m. However, care is available from 6 a.m. to 6 p.m. at no additional charge. On Feb. 15, participants should be dropped off by 9 a.m. at Horizon and are expected to return there around 3:30 p.m., with care available from 6 a.m. to 6 p.m. at no additional charge. The early registration fee is $30 each event until Feb. 8, then $45; no refunds will be provided. Students should bring a lunch with a beverage, as well as warm clothes for tubing and thick socks for skating. • Register online for the Feb. 14 Fantastic Friday to pay with a credit card. • Register online for the Feb. 15 Fantastic Friday to pay with a credit card.